Well, this is a surprise. While most of the major Oscar contenders were thought to already have their release dates set in stone, one has popped up out of nowhere. 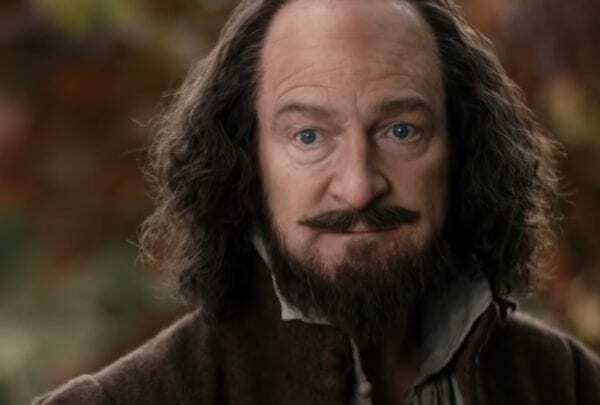 Kenneth Branagh's Shakespeare biopic All is True has not only revealed its first trailer, but it has joined the crowded pack of December releases. Branagh both directs and stars as William Shakespeare, but this is no standard biopic. The film centers on the legendary writer's final years as he looks back at a career that cost him everything, including his family. Judi Dench co-stars as Shakespeare's neglected wife Anne Hathaway, with Ian McKellen as the Earl of Southampton, who many believe is the Fair Youth of Shakespeare's Sonnets. Here's the synopsis: ALL IS TRUE reveals a dramatic and little known period in the final years of William Shakespeare. Branagh is the playwright, Judi Dench is his wife Anne, and Ian McKellen plays the Earl of Southampton. The year is 1613, Shakespeare is acknowledged as the greatest writer of the age. But disaster strikes when his renowned Globe Theatre burns to the ground, and devastated, Shakespeare returns to Stratford, where he must face a troubled past and a neglected family. Haunted by the death of his only son Hamnet, he struggles to mend the broken relationships with his wife and daughters. In so doing, he is ruthlessly forced to examine his own failings as husband and father. His very personal search for the truth uncovers secrets and lies within a family at war. All Is True opens on December 21st.